Do you work at The Dartmouth Castle? 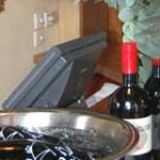 Real ales and an extensive wine list as well as a wide selection of bottled and draft beers. What did you think of The Dartmouth Castle? The Dartmouth Castle is a real find. I very much enjoyed my meal here - the Tuscan Lamb was fantastic. My husband had the Pan Roast Cod and thought that he had gone to heaven. I am taking my Canadian cousins here when they are over at Xmas. 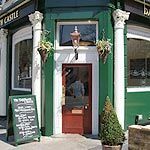 The Dartmouth Castle is a lovely London pub. I have been going to the Dartmouth Castle for years. The good food and service keeps me coming back for more. The Dartmouth has got awesome food as well and the Aussie staff are cracker mate. For anyone who thinks of Hammersmith as a concrete jungle lacking in quality pubs, Dartmouth Castle may help change your mind. It’s one of the nicer pubs in the area –but it’s more than just a pretty face. Dartmouth Castle is tucked away from the main throng of Hammersmith, located within a beautiful period building with a green colour scheme that probably shouldn’t work, yet really does. 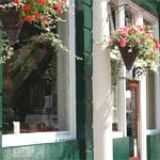 Maybe it’s because the exterior is also covered in vibrant hanging baskets filled with flowers, so even if the weather is grey and depressing, you’re still treated to a flash of springtime colour. Inside, the pub is simple – perhaps a little too much so. 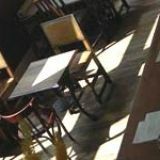 White and cream walls complement the red wooden tables, chairs and bar while blackboards demurely showcase the latest dishes and wines on the menu. More flowers, ornate mirrors and the like help to dress things up a bit, but it feels a little too All Bar One. It’s a shame - this could be a really homely boozer with a bit of tweaking. Luckily, what Dartmouth Castle lacks in aesthetic flair, it makes up for in ambience. This is a place that is popular with in-the-know office workers and as the evening nears it fills with the happy chatter of people who have clocked out of the office for the night. Come the warmer months, the street outside becomes a haven for alfresco drinkers as smokers have to share their refuge. And the staff are genuinely friendly and welcoming, whether you’re a new face or one who clearly spends too much time here. There’s a well-priced food menu available at Dartmouth Castle, which adds a ‘posh’ edge to standard pub grub. For example, bangers and mash is replaced with Tuscan sausages with roast garlic mash and red onion marmalade for the great price of £12. Alternatively, fishcakes come as salmon and dill fishcakes with sautéed spinach and paprika hollandaise (£12.50). It’s a well-balanced menu and although it’s not the sole focus of this place – this is no gastro pub, after all – it hasn’t just been thrown together as an afterthought either. For a pub that isn’t too focussed on its food, Dartmouth Castle has an above-average wine menu. Although the emphasis is mainly on Old World bottles, the pub has introduced some exciting options from Australia and Argentina to spice things up. Prices are good, too, with bottles coming in at £20-£40 a pop depending on your budget. If it’s ales you’re after, there are a couple on tap in the form of Sharp’s Doom Bar and Timothy Taylor Landlord, although it would be good to see some exciting options included from London’s emerging microbrewery scene. It’s easy to see why Dartmouth Castle is the pub of choice for many of Hammersmith’s office workers. If you’re in the area and fancy a nice glass of wine, it’s worth swinging by. I recently visited The Dartmouth Castle for the first time as I have just moved to the area and saw the great reviews online. It was even better than I expected. The moment we sat down we were given a basket of warm bread with dips which I thought was a nice touch. I had roast beef- I am not normally a fan of roast beef but this was the special and I was in the mood for a roast dinner. It was the best roast beef I have had! Also the barmaid recommended a glass of wine to accompany my meal and it was absolutely delicious and complimented my beef perfectly! 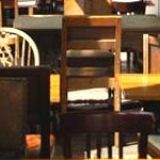 There is a relaxed atmosphere here, I like that while it serves restaurant quality food it is not trying to be a restaurant. I will definitely be a regular!